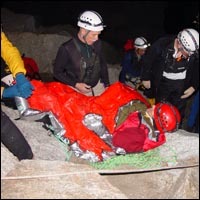 The book, Mountain Responder, contains private " story codes" that give the reader access to hundreds of pictures that were taken actual rescues. This page contains a small sampling of those photos. A solo, unroped rock climber slipped and landed on this precarious shelf 70 feet up a waterfall. 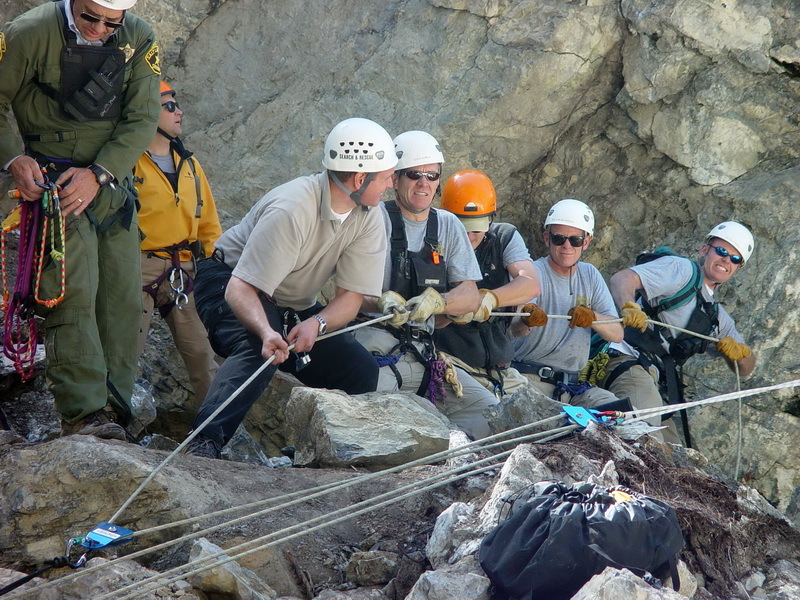 In this picture, Steve and his teammates prepare to lower the now-paralyzed climber to waiting rescuers. 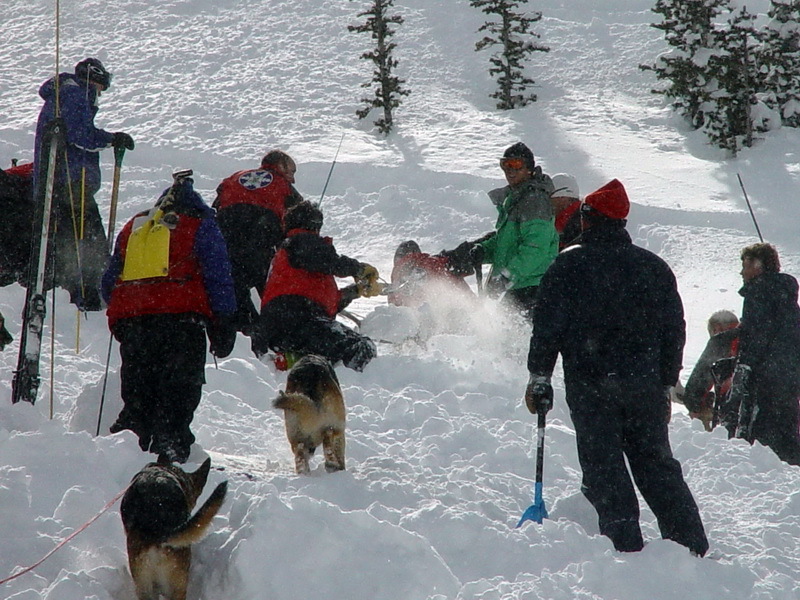 Rescuers from four ski resorts and Search and Rescue searched for two missing snowboarders who were buried after an avalanche swept 1,000 feet down a slope near Brighton Ski Resort. 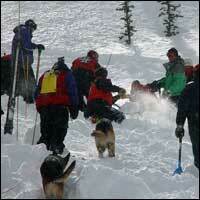 This photo shows rescuers urgently digging after a rescue dog indicated the location of the second young man. 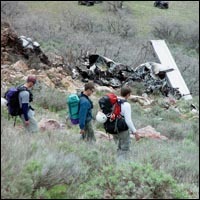 Only three weeks after Aron Ralston was trapped by a rock and had to amputate his own arm, Steve and his teammates were called to a "hiker pinned by a rock." 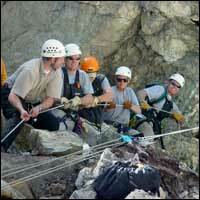 This picture shows rescuers using a pulley system to remove the 6,000 pound rock and recover the hiker's body. 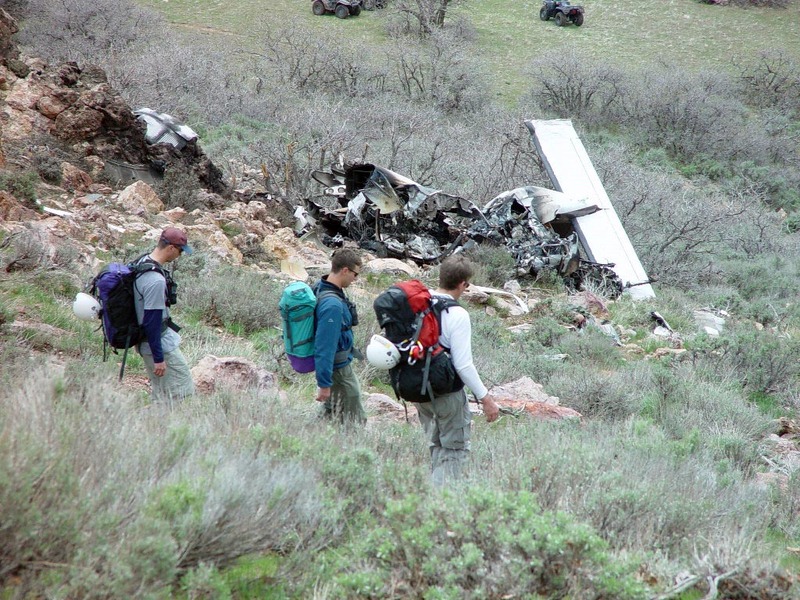 There wasn't much left when this small plane slammed into the mountainside. 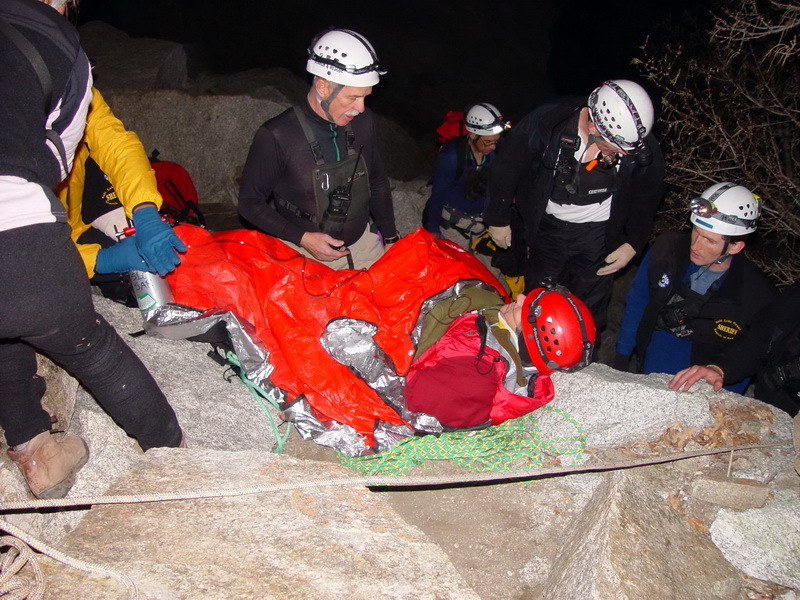 In Mountain Responder, Steve shares his apprehensions as he and his teammates pickup up the pieces. 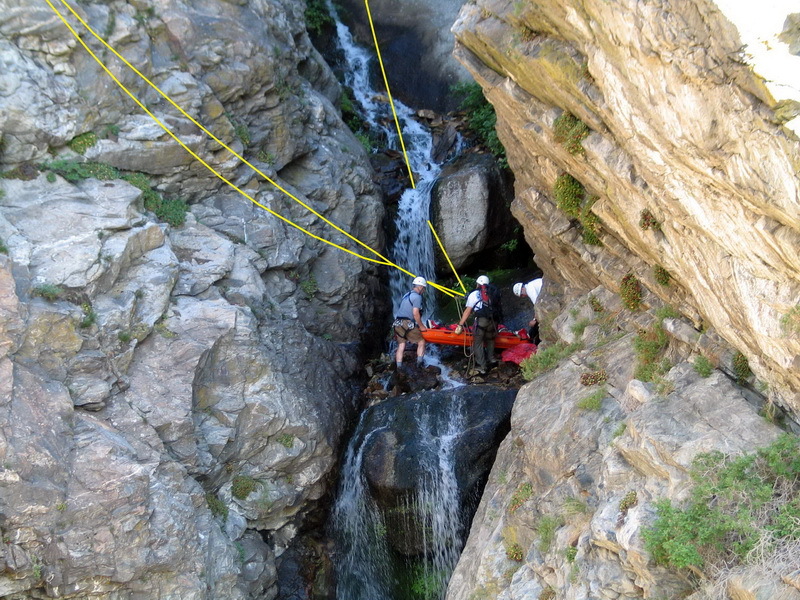 Utah's spectacular climbing leads to some spectacular falls. Steve attempted to realign this rock climber's severely fractured and angulated ankle to restore circulation to his foot. 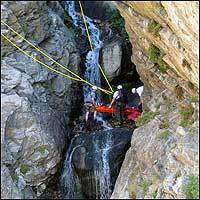 The patient was then lowered eight rope lengths to a waiting ambulance.